The Armillaria ostoyae, more popularly known as the honey mushroom, began from a single spore too tiny to be seen by the naked eye. It has been entwining its black shoestring filaments over the forest for an estimated 2,400 years, which causes trees to die as it grows. Spreading through the roots of trees, this fungus covers 2,200 acres today, which makes it the largest living organism ever to be found. “When you’re on the ground, you don’t notice the pattern, you just see dead trees in clusters,” said Tina Dreisbach, a botanist and mycologist working with the U.S. Forest Service’s Pacific Northwest Research Station in Corvallis, Oregon. 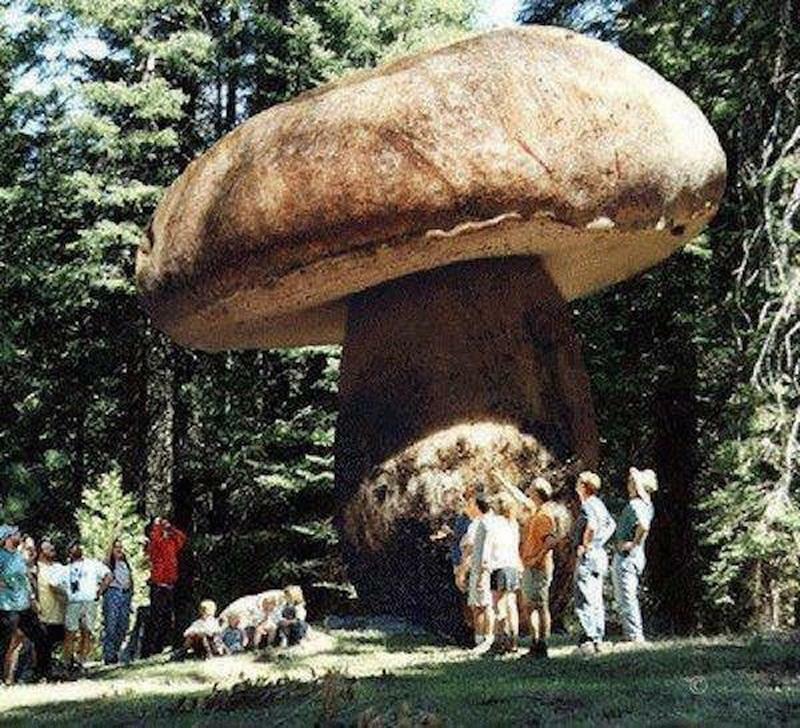 Extremely similar to a mushroom, the outline of this giant fungus extends 3.5 miles across, and fairly stretches three feet into the ground, covering an area as large as 1,665 football fields. No one has yet estimated its weight. In 1998, Catherine Parks, a scientist at the Pacific Northwest Research Station in La Grande, Ore., discovered this. She heard about a large tree die-off from root decay in the forest east of Prairie City, Ore.
With aerial shots, Parks checked out an area of dying trees and gathered root samples among 112 of them. She singled out the fungus through DNA testing. Then, through comparing cultures of the fungus developed from the 112 samples, she was able to determine that 61 of them were from the same organism, which means that a single fungus had grown bigger than anyone had ever illustrated before. As it is microscopic, the only evidence of the fungus on the surface are clumps of golden mushrooms that materialize in the fall with the rain. Unearthing the roots of one affected tree, something that matches a white latex paint can be observed. These are actually mats of mycelium, which sip water and carbohydrates from the tree as fungus grub, thus interfering with the tree’s absorption of nutrients. Rhizomorphs are the black shoestring filaments that stretch as long as 10 feet into the soil, infesting tree roots through a mixture of pressure and enzyme action. Scientists are absorbed in learning to control Armillaria as it kills trees, however, they soon realize that the fungus has served a purpose in nature for millions of years.